“We work for you” is not just a motto, but what we do! With a combined 50 years of insurance experience and multiple companies to choose from, we feel we have the ability to fill your unique insurance needs and budget. We invite you to put us to the test. 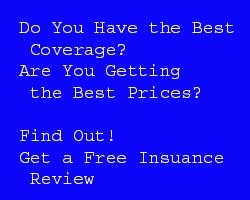 We will review your current coverages and provide you with our recommendations for any changes, at no cost or obligation to you. You can simply call us at 240-580-1839 or fill out the form below.